If you're paying more than 10% on your credit card, maybe you should apply for Clearpath's low rate Visa. While variable rate cards may fluctuate, our card offers a rate that will stay the same month after month. If you're looking to build or re-establish credit, our Share Secured Visa is the answer. 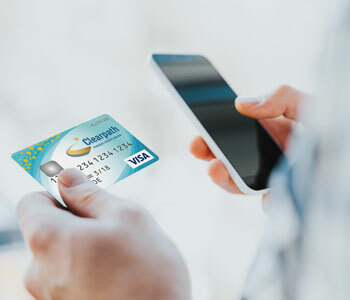 It allows you to open a Visa credit card account using the funds you have in your Clearpath Savings account. Your Visa looks and works as any credit card would, but the amount you have on deposit in your savings is used as collateral to determine your credit limit.